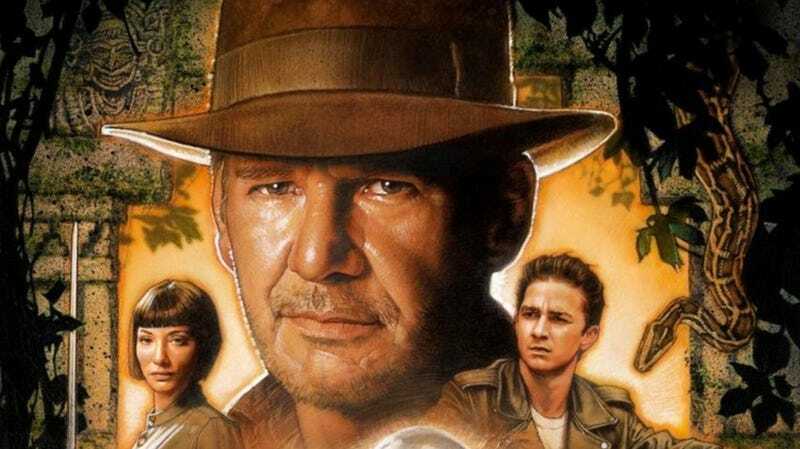 Kingdom of the Crystal Skull could be 15 years old by the time its sequel is released. Indiana Jones 5 is currently scheduled for release July 10, 2020—but it seems like that’s about to change. According to Variety, production on the highly anticipated sequel, which was supposed to start in April 2019, will be moved back at least a few months and possibly up to a year. As a result, the film won’t be ready for a summer 2020 release. And though that change hasn’t been made official yet, it’s likely imminent. The reason for the potential change could be related to new developments with the script. David Koepp was first hired to write the film, but as Collider reports, Jon Kasdan (son of Lawrence Kasdan and co-writer of Solo: A Star Wars Story) is now in talks to write the movie. How extensive that rewrite will be is unclear, but it may have been just enough to push everything back. Variety also reports that there are no plans to shelve the film and that director Steven Spielberg and star Harrison Ford are still on board. There just will be more of a wait now—and Spielberg could even bang out one of the many projects he’s got in the works before shooting this. The odds-on favorite is his remake of West Side Story, which is currently casting. Any sane fan is probably now thinking, “How old is Harrison Ford going to be in 2020 when this movie could film?” The answer is 78. So there is every possibility the release of Indiana Jones 5 could potentially coincide with the actor’s 80th birthday. So, yeah, let’s make sure Disney, Lucasfilm, and all parties involved take their time and make sure this ends up being worth it.